Completely renovated corner unit with open floor plan and bright natural light. New carpet, new paint, granite in the kitchen, new bathroom vanities and fixtures. Master bedroom offers floor to ceiling windows, walk in closet and en suite bath. Second bedroom is large with a big closet. 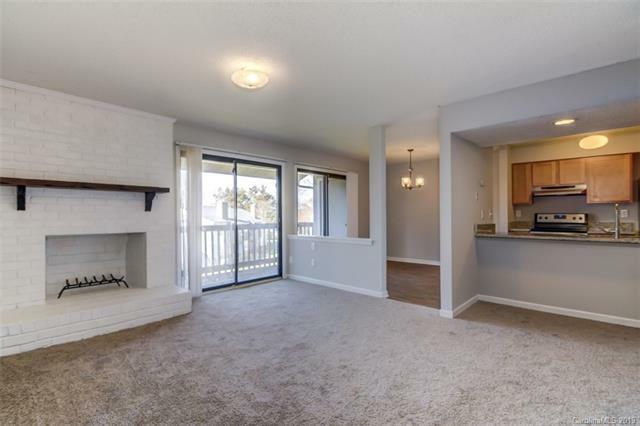 This second level corner unit offers a wonderful deck open to the living and dining rooms, a wonderful spot to entertain or just relax with a book. Incredible location... walk to shopping and restaurants with quick access to I485, hospital, malls, Ballantyne and Southpark. Offered by Nexthome Downey Properties. Copyright 2019 Carolina Multiple Listing Services. All rights reserved.